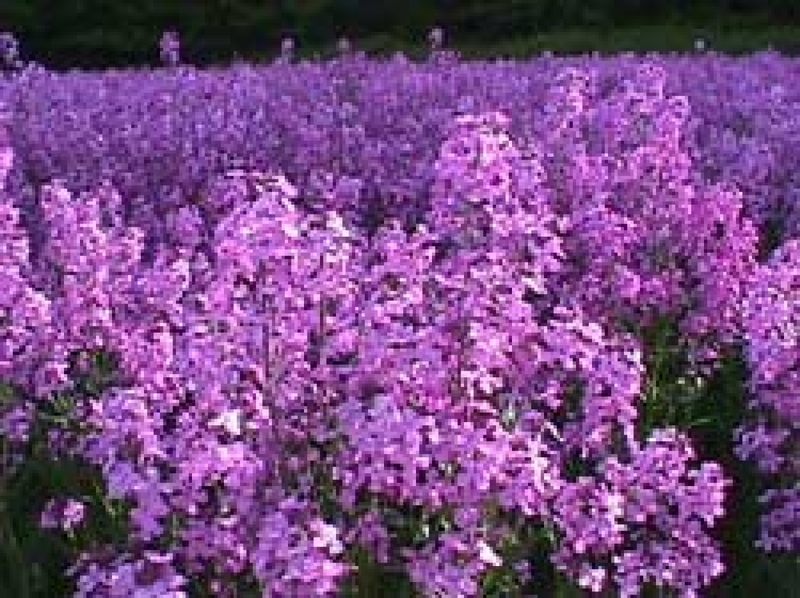 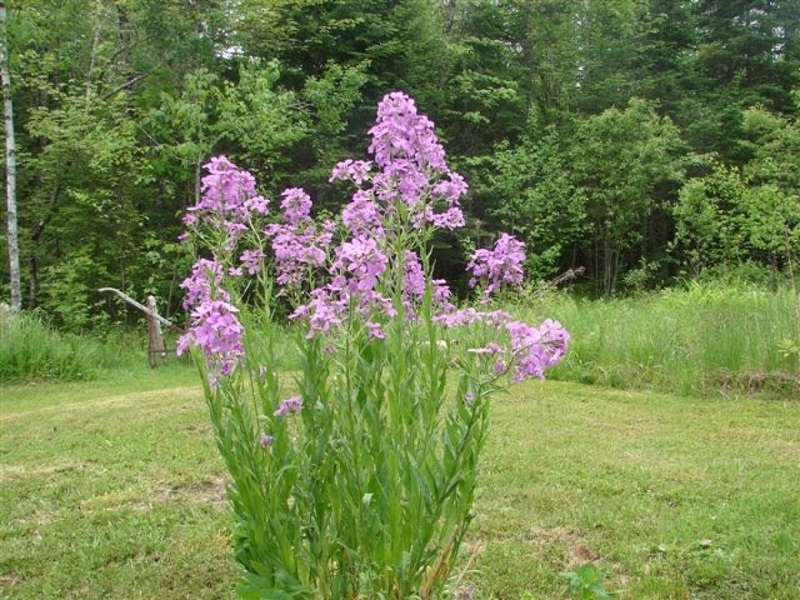 It has numerous common names, including dame’s rocket, damask violet, dame’s violet, dames-wort, dame’s gilliflower, night-scented gilliflower, queen’s gilliflower, rogue’s gilliflower, summer lilac, sweet rocket, mother-of-the-evening and winter gilliflower. Plants are biennials or short-lived perennials, native to Eurasia and cultivated in many other areas of the world for their attractive, spring-blooming flowers. In some of those areas, it has escaped cultivation and become a weed species. 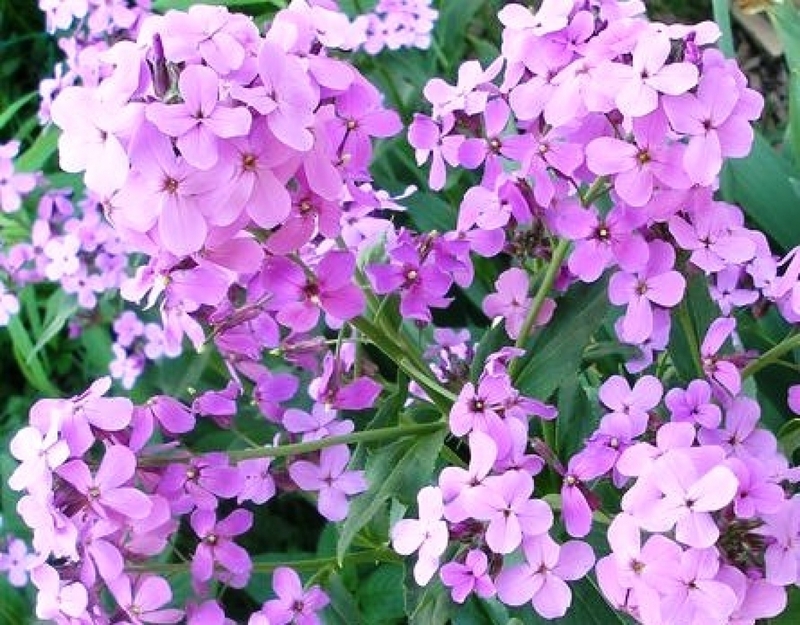 The genus name "Hesperis is Greek for evening, and the name was probably given because the scent of the flowers becomes more conspicuous towards evening. 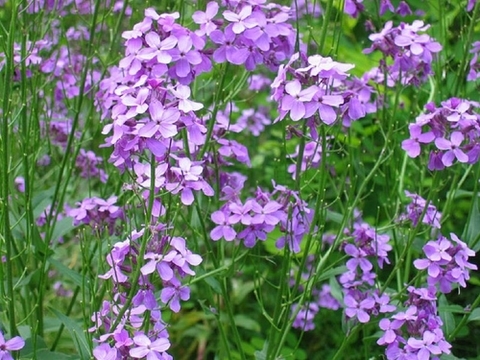 It is worth to grown this flower not for it fragrance alone, dame&apos;s rocket also offers showy, long-lasting flowers and is easy to care. 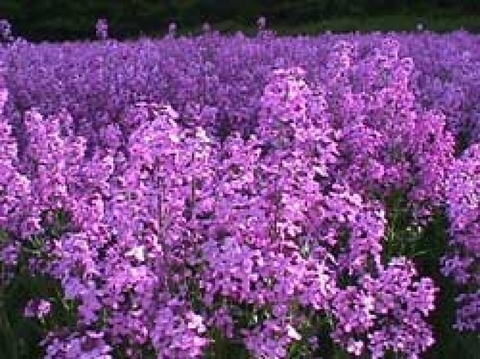 Height : 18" - 36"